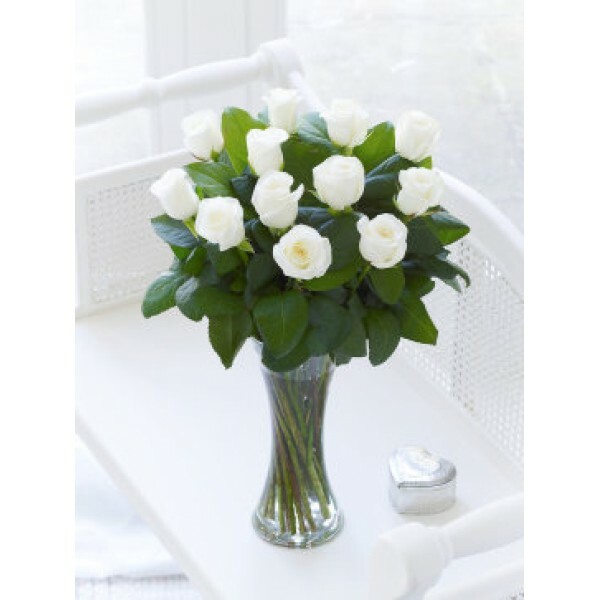 For simple sophistication and effortless chic, it’s hard to beat this gift of pristine roses. We’ve chosen long-stemmed roses, added extra foliage in the deepest green and carefully arranged everything in a tall glass vase. This is a classic gift that really speaks for itself. Featuring roses with mixed foliage, presented in a slim-waisted glass vase.